Triangular Trade Ongoing since 2017 Investigates the influence of pivotal materials like cotton, copper, lithium and uranium on economic inequality and global power structures. Uncertainty Scenarios Ongoing since 2015 Explores the way people throughout history have tried to speculate, predict and anticipate the future. Performing Objects Ongoing since 2014 Experiments with objects and their possibilities to act as an interactive performer towards its users or audience. ELIXIR Ongoing since 2013 Transforms fallen heritage fruit, planted by an early modernist Belgian painter who made his living from his orchard to remain independent. LUNÄ Talks Ongoing since 2011 Reflects on topics like new scientific and industrial developments, but also art, education and social rights that occupied the Lunar Men during the Enlightenment or the Age of Reason. 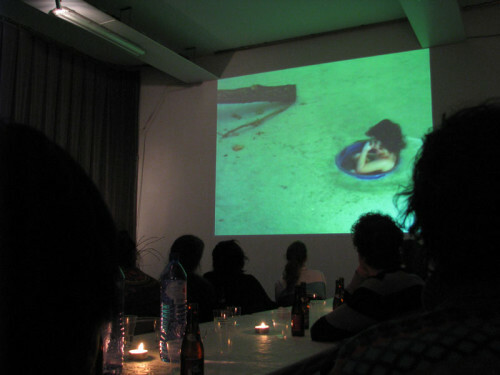 Corrillos was a series of presentations by and for artists, architects, designers and theoreticians based in Rotterdam during 2008 and 2009. 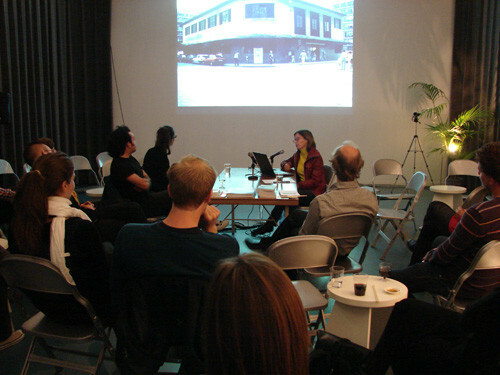 The program tried to get insight in the particular art scene in Rotterdam, which mainly works and exhibit outside of their hometown. The Spanish word Corrillos stands for an informal meeting of people who casually gather together and discuss whatever topic in a non-hierarchic way. 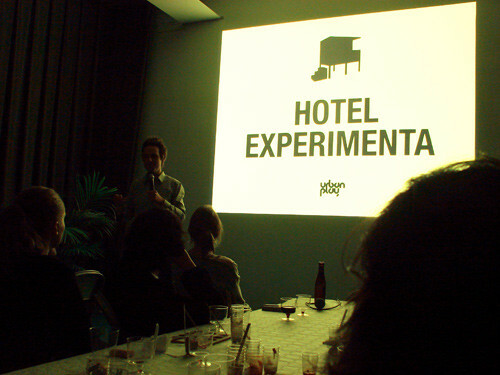 The program of Corrillos consisted of two presentations, tried to challenge its formats and each time had a different host. For this project a publication was developed that could be collected during the project. 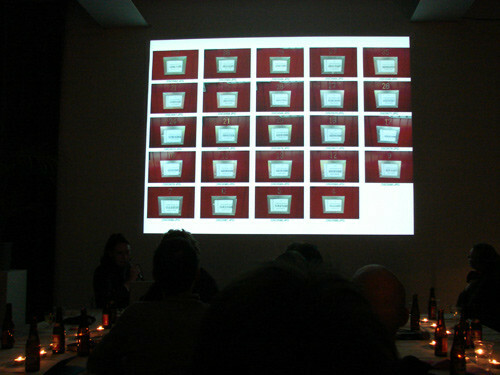 The cover with two invitation cards was send at the start of the project and the invitation cards could be collected to create a publication mapping the Rotterdam artscene after a series of Corrillos evenings. The sixth Corrillos is hosted by Jonas Staal with presentations by Iratxe Jaio & Klaas van Gorkum and Matthias Pauwels (BAVO). The Spanish word Corrillos stands for an informal meeting of people who casually gather together and discuss whatever topic in a non-hierarchic way. The fifth Corrillos is hosted by Huib Haye van der Werf with presentations by Hans Venhuizen and Ester van de Wiel. The fourth Corrillos is hosted by Katarina Zdjelar with presentations by Ozlem Altin and Anke Bangma. The third Corrillos is hosted by Christien Meindertsma with presentations by Florentijn Hofman and Reineke Otten. 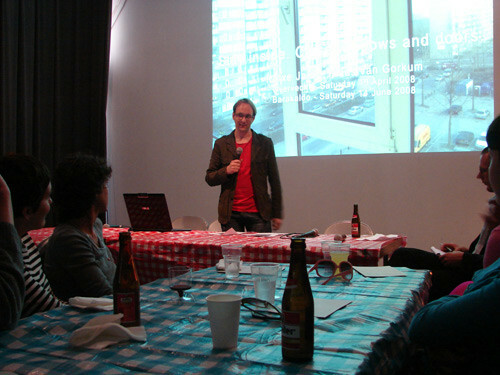 The second Corrillos is hosted by Melle Smets with presentations of Liesbeth Koot and Jan Konings. 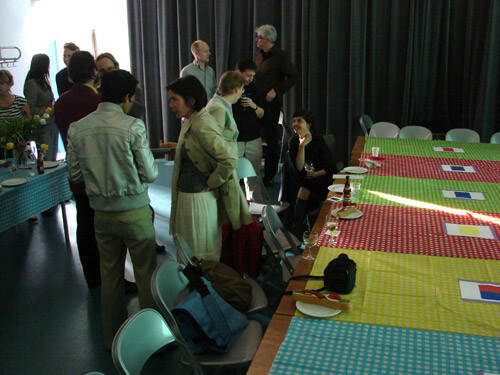 The first Corrillos is hosted by initiators Marjolijn Dijkman and David Maroto with presentations of Lara Almarcegui and Jan Jongert (2012 Architecten).